Kids’ two favorite foods – maybe everyone’s favorite foods – pizza and chicken have finally come together. 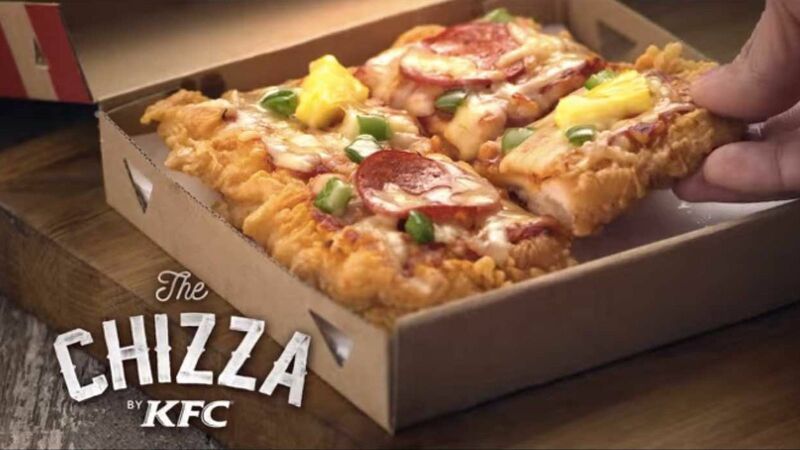 KFC is getting into the pizza business chicken style with Chizza. It’s only available in the Philippines for now. Gross you say? Or yummy, delicious? Either way, what mashups have you launched to get a piece of someone else’s category?